While America and Europe changes their social media profile pictures to show solidarity with victims of one European country, then another, victims of terrorism in non-European and American countries are receiving virtual no attention – let alone sympathy – when they receive even higher death tolls from ISIS. ISIS is killing more Muslims and Africans than any other group. Yet for some reason Western media is only highlighting when Europeans and Americans get killed. This feeds into a “Muslims are against us” mentality, when in fact what we are facing is an imperialist terrorist cult, that targets Muslims more than any other group of people. Just last week, Grand-Bassam’s beaches were filled people enjoying the Sunday afternoon. With temperatures on the rise, many across Ivory Coast came to the city’s oceanfront resorts to enjoy the ocean. For terrorists, this was a perfect opportunity. Six figures all in black appeared on the beach, wearing balaclavas and carrying guns. Before anyone could process what was going on, the terrorists opened fire. They had AK-47 Kalashnikov rifles and hand grenades, which they used on anyone within sight. 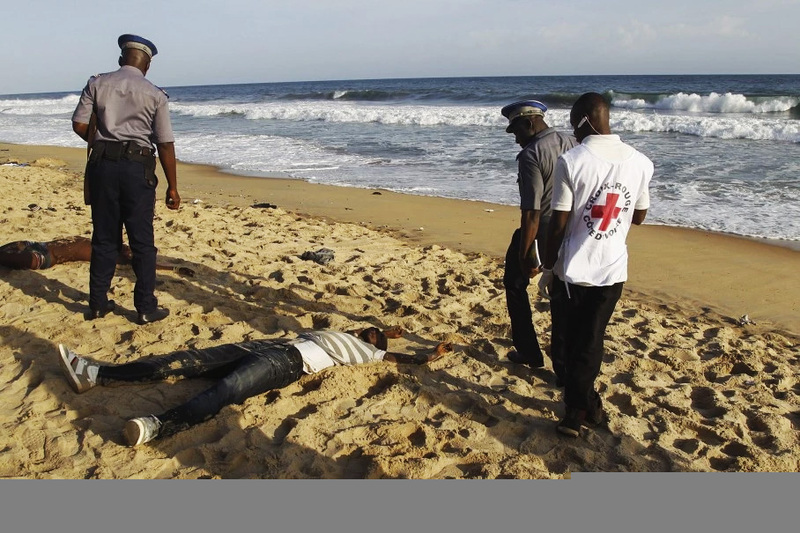 They marched across the sand, shredding men, women and children – both Ivorians and foreigners alike. When security forces arrived, the terrorist gunmen killed two of them as well. But aside from sources like the BBC and NPR, this story was simply not covered in the mainstream Western media.